RPSC has notified that the answer booklets for Rajasthan State Subordinate Services Combined Competitive (Main) Examination 2016 will be uploaded on the official website on April 23. 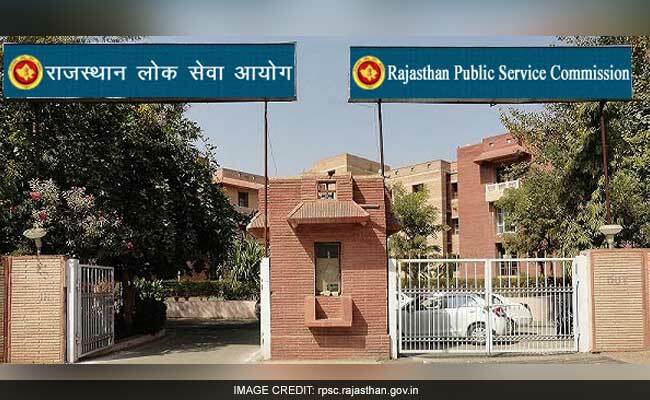 New Delhi: Rajasthan Public Service Commission has notified that the answer booklets for Rajasthan State Subordinate Services Combined Competitive (Main) Examination 2016 will be uploaded on the official website on April 23. The commission in a notice dates April 5, has said that due to technical glitches, the answer booklets cannot be released on its official website and hence will be released later. Meanwhile the commission has advertised for the Rajasthan State Subordinate Services Combined Competitive Examination 2018. The application process will begin on April 12 and end on May 11, 2018. The recruitment exam will be conducted for a total of 980 posts, details of which can be seen in the official notification. The selection process for State Subordinate Services Combined Competitive Examination includes a preliminary examination, main examination, and personality and viva voce examination. The preliminary examination is conducted for 200 marks and carries questions form general knowledge and general science. The main examination is conducted for total of 1000 marks and has four papers in which three are General Studies and one is General Hindi and English. The number of candidates who are selected for the main examination is approximately 15 times the number of vacancies advertised.